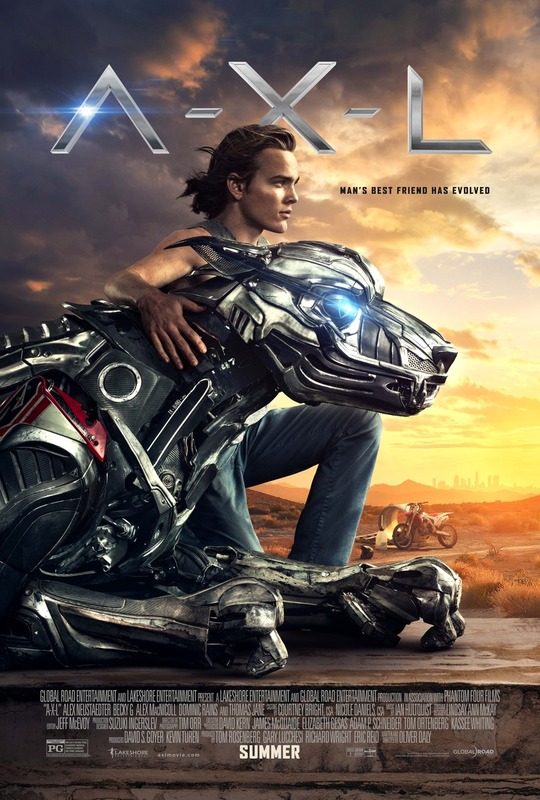 A.X.L DVD and Blu-ray release date was set for January 1, 2019 and available on Digital HD from Amazon Video and iTunes on December 21, 2018. A teen motocross enthusiast named Miles discovers an advanced military robot dog A.X.L. hiding in the desert after an experiment gone wrong. Miles manages to activate the dog's advanced artificial intelligence owner-pairing technology and an unbreakable friendship forms between the two outcasts. The two friends will do anything to protect each other, including enlisting the help of the beautiful and enterprising Sara to take on the military scientists who will stop at nothing to get A.X.L. back.